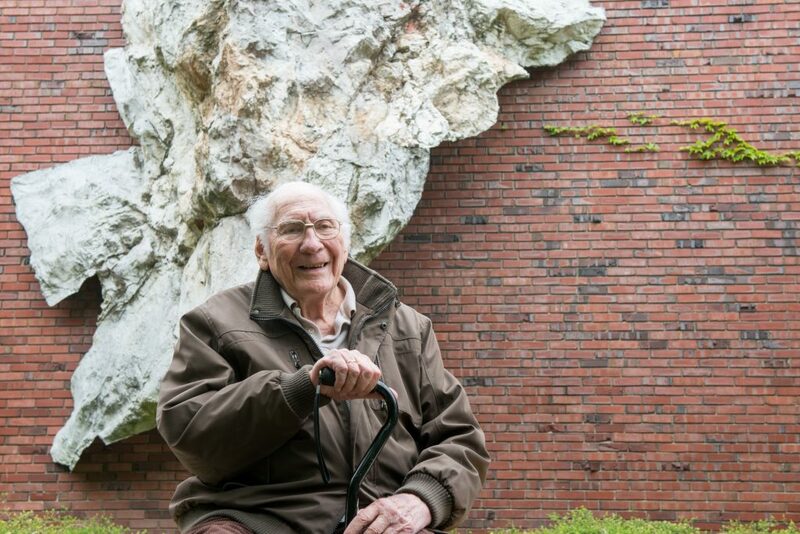 Professor Emeritus of Art Manuel Bromberg returned to campus on May 21st for a ceremony rededicating the artwork that has become his most lasting contribution to SUNY New Paltz: the large rock-face sculpture, titled “Cliffside,” that adorns the outer southern wall of the Humanities building. 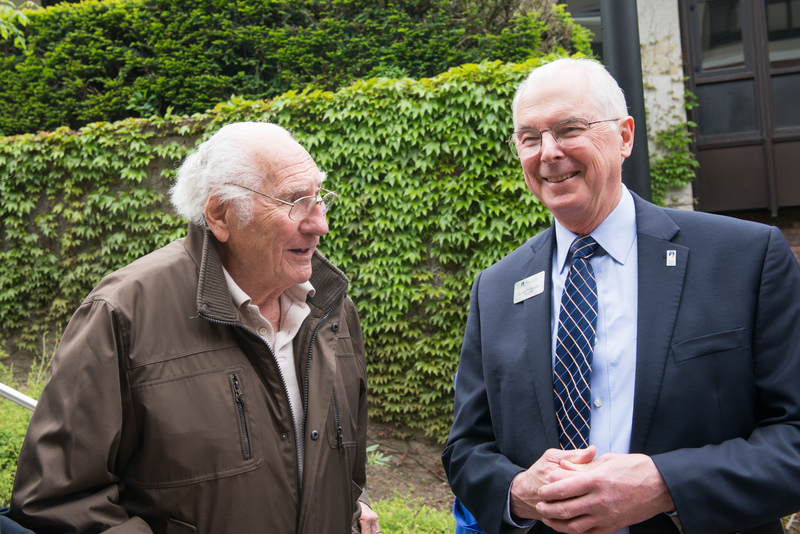 Bromberg, who recently celebrated his 99th birthday, was joined by family, friends and former students from his 1957 – 1979 tenure as professor of painting and design, for the unveiling of a new plaque noting the date of the sculpture’s installation (1970), the name of its creator and that of the man in whose honor it was originally dedicated: Martin Luther King, Jr.
With his trademark sense of humor, Bromberg explained how his work came to be donated to the College, and why as a tribute to King. “Here I was, the owner of this 20-plus-foot cliff, and I didn’t know where to put it,” Bromberg said. “It wouldn’t fit in my backyard, so I asked the then-president, John Neumaier, if the College would like it, and he was kind enough to accept it. Though some members of the campus community may not know the full history behind it, Bromberg’s piece remains an enduring and iconic landmark on the New Paltz campus.